So Here we go..we are off for Chicago next week to the Botanic Garden Show with Country Living and I’ll be taking lots of photos of all the wonderful people I haven’t even met yet! Until then I have to figure out where too put all the items in a ten by ten space! Move over Susan!!! Check me out! I love your fabrics…the whole line. I have used some of them to make some items for my daughter. I am girly and she is not, but after I made them, she LOVED them!!! She wants me to make more!!! 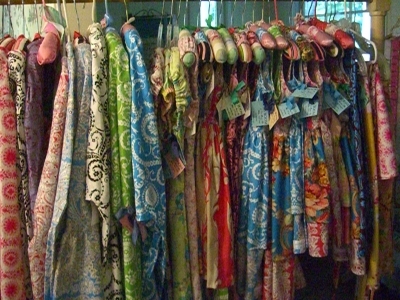 Thanks again for designing such fresh and vibrant fabrics! Lovely Lovely!!! Ohhh you ROCK STAR!!! Will we be seeing more of your fabrics this fall quilt market?? ?